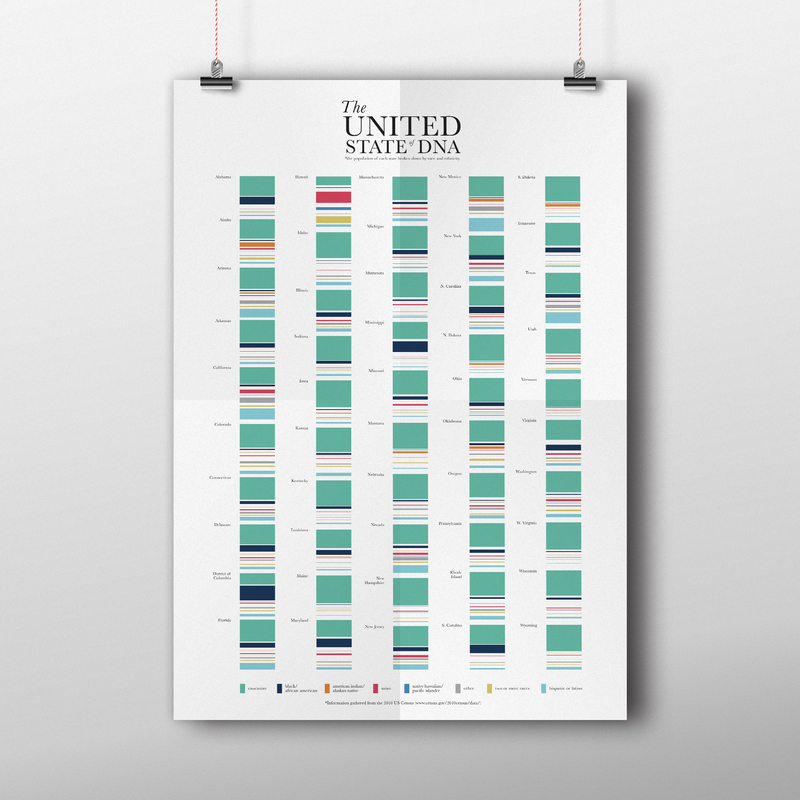 Winner of an American Graphic Design Award, "The United State of DNA" is a graphic representation of the populations of all 50 states by race. 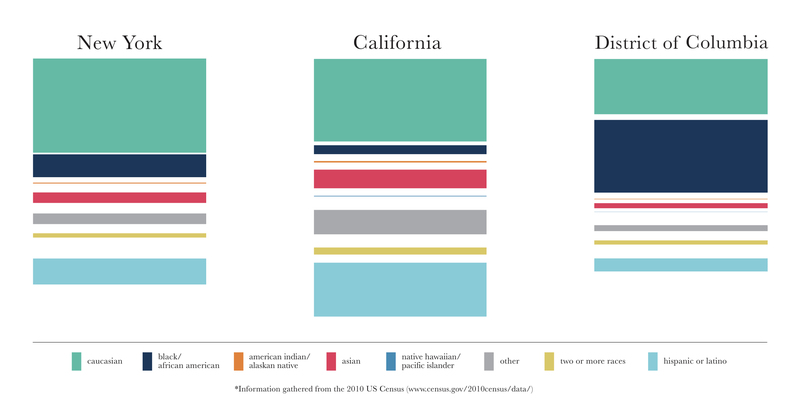 Seaberry's Nicole Riemer did the research and organized the data by state into flat strands, using proportional color bars to identify each racial group. Examples (below) of state "DNA" strands.